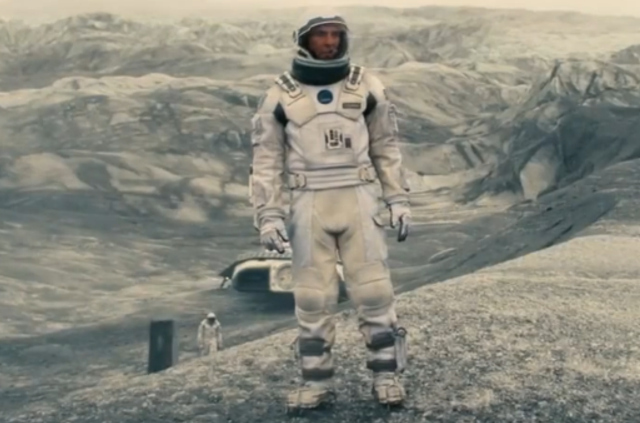 Once again, Christopher Nolan doesn’t disappoint. Matthew McConaughey gives a spectacular performance as an engineer-turned-farmer-turned-astronaut (it makes sense, trust me) who literally goes to the ends of the universe to save humanity. Jessica Chastain, Michael Caine, and Anne Hathaway also give strong performances in supporting roles. My only gripe is that Nolan has to rely on the mother of all science-fiction tropes (Google “Destiny Paradox”) to make the whole movie work, but the end product is still fabulous. An action flick that I’ve wanted to see for a long time now, Mission: Impossible 3 didn’t disappoint. 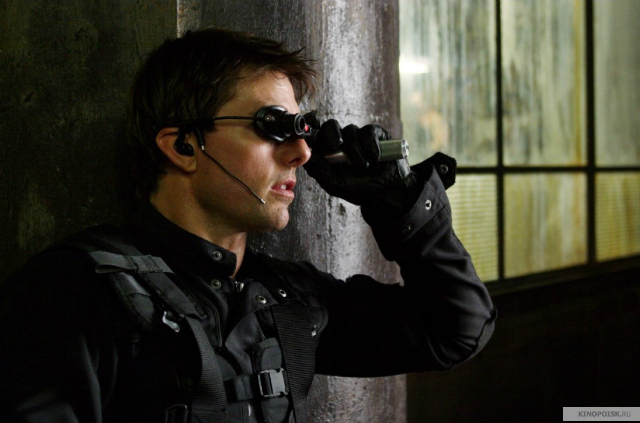 Tom Cruise is as good as he ever was as Ethan Hunt and Phillip Seymour Hoffman (RIP) makes a spectacular villain. Once again, the only gripe for this film comes from an age old action/thriller/heist film plot device (the “Macguffin”), but the taut story and the (surprisingly good) acting make up for it. Definitely worth a watch. 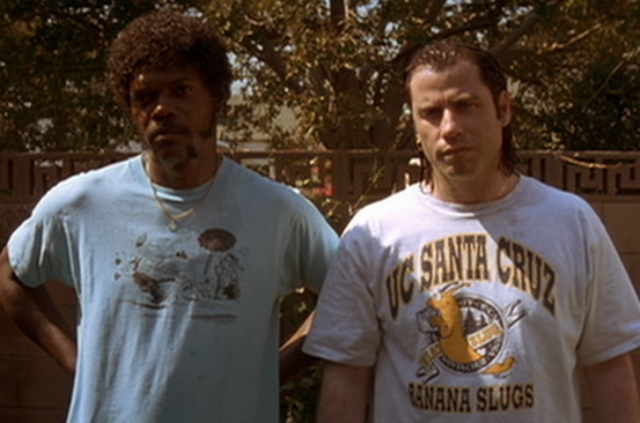 A cult classic that I’ve had on my “to be watched” pile for way too long, Pulp Fiction is the real deal. The star studded cast doesn’t disappoint and the non-linear nature of the interconnecting stories really gives the movie the pulp comic vibe the movie was shooting for. A couple of the stories revolve around a “Macguffin” (AGAIN! ), but it is implemented even better than the one from Mission: Impossible 3. Plus, there are plenty of memorable scenes and lines (“Do you know what they call a Quarter Pounder with Cheese in France?”) that you’ll be reciting over and over again. 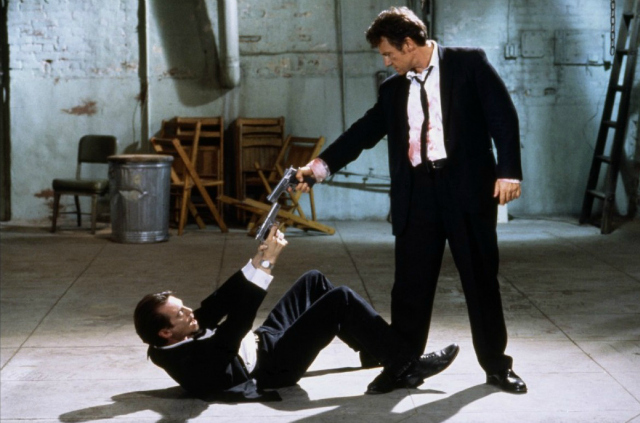 I decided to continue getting my Tarantino fix after Pulp Fiction and decided to watch the film that started it all, Reservoir Dogs. While many consider the aforementioned Fiction or Inglourious Basterds to be Tarantino’s masterpiece, I argue that the first may be the best. Everyone, from Harvey Keitel all the way to Chris Penn (who I usually find unbearable), are amazing in this film. The revelation of who the “rat” was made me go slack jawed in shock. Reservoir Dogs is near the top of the list of crime movies for me, right up there with The Godfather and Goodfellas. After back to back crime movies, I decided for a little lighter fare with the 2011 version of Winnie the Pooh, as the wife and I both have fond memories of the “silly old bear.” Unfortunately, we both found this one very disappointing. The movie is very simplistic, even for a kid’s movie, and overuses slapstick humor and book text as a plot device. 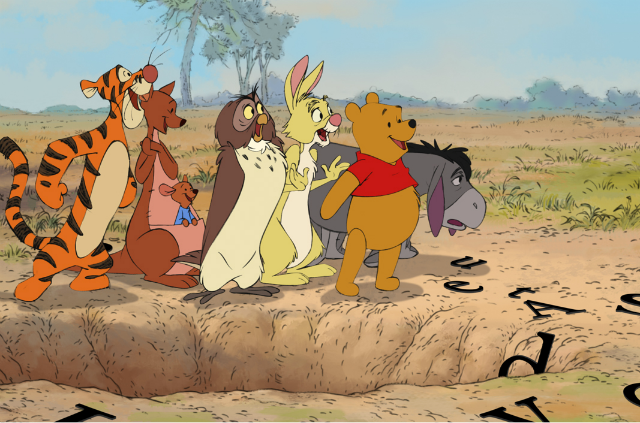 Anyone wanting to introduce their children to Winnie the Pooh would be better served showing them the original shorts (complied as The Many Adventures of Winnie the Pooh) or the animated series from the 1980’s (released on numerous DVDs in the early 2000’s). 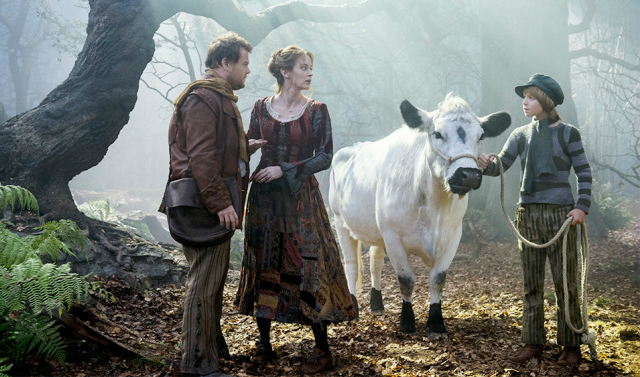 I honestly didn’t have high hopes for Into the Woods. Not because I don’t care for musicals (I actually enjoy them very much), but because I had read so many rotten reviews. I was pleasantly surprised by how much fun I had watching this film. While some of the parts could have been re-casted if I had my way, Meryl Streep and James Cordon really carry the movie and give incredible performances, both dramatically and aurally. Special mention has to be given to Chris Pine whose singing talents give me hope for a bold new direction for the next Star Trek movie! (Only joking) Fans of fairy tales and musicals alike should give this at least the courtesy of a rental. I had originally wanted to wait to see Mockingjay, Pt.1 right before Pt. 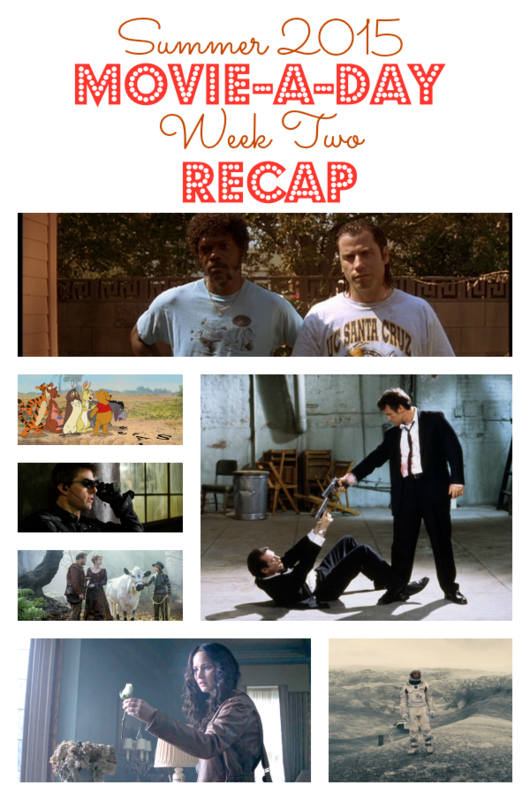 2 hit theaters, but once the trailer for that film hit last week, I finally broke down. 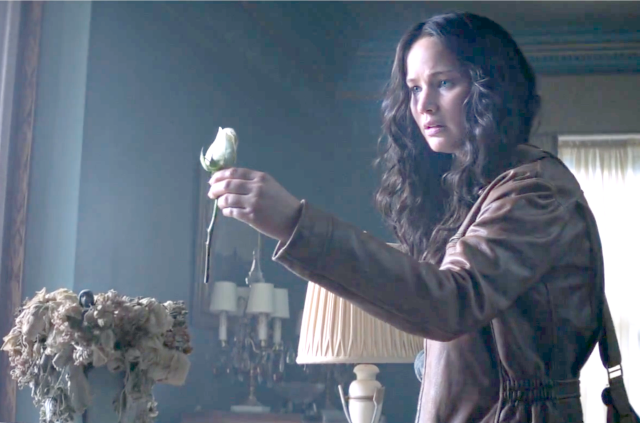 While I still contend that both halves could have been trimmed a bit to create one large movie, I found Mockingjay, Pt. 1 quite enjoyable. Jennifer Lawrence gives a very emotional performance as Katniss and it was great to see Phillip Seymour Hoffman unleashed in what would be one of his final roles. Truthfully, most of the supporting cast (with the exception of maybe Natalie Dormer as Cressida) give spectacular performances. The only disappointments I had were that a few of the deleted scenes from the extras deserved to be left in and that Finnick’s emotional “Secrets” propaganda ad was ruined from what it was in the book. These quibbles aside, it was a top-notch effort. So that’s it for week number two of my Summer 2015 Movie-A-Day Challenge! What did you think of this week’s lineup? Have different opinions? Want to tell me what I should watch next? Connect with me on Facebook, Twitter, or Instagram!